Woodlands named on of the 15 best Indian restaurants in London by Conde Nast Traveller Sept 2017! Thank you! ........The finest Indian vegetarian cuisine ..... in London's best locations. In 1980 Mr Ranjit Sood, an Accountant and Mr H.S. Nagaraj from Woodlands India embarked upon a journey to open one of the first Indian vegetarian restaurants in London. Subsequently our first Woodlands Restaurant in Marylebone was born in 1981 and successive branches opening in London, Mumbai and Singapore. Woodlands has evolved from serving mainly south Indian dishes to the diverse Pan Indian vegetarian destination it is today. 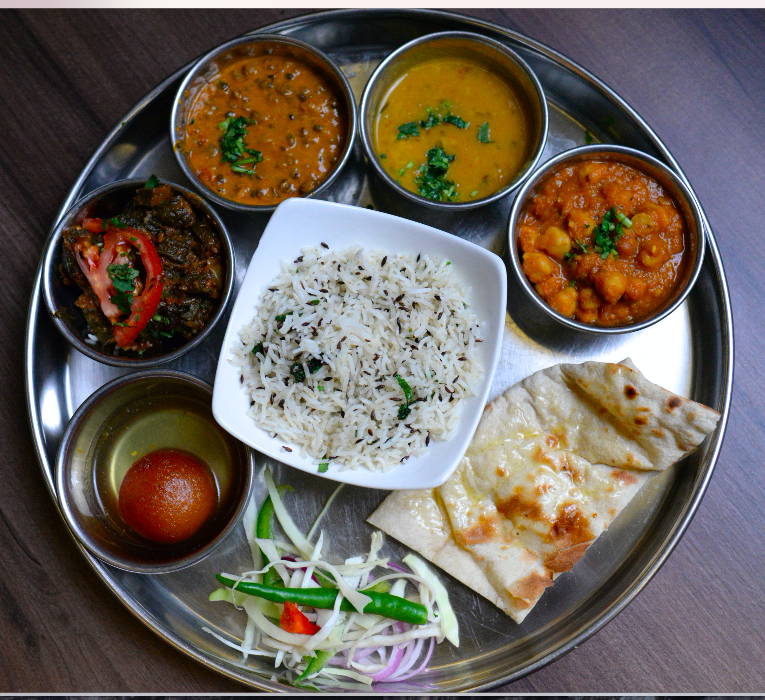 We are proud to cater to vegetarian, vegan, gluten free and Jain (no onion or garlic) diners from London and all over the world. Mr Sood's son, Rajat an ex banker and his wife Pooja, a Chartered Accountant are now at the helm of the company. We are humbled to have a loyal host of guests, many of whom are prominent figures from the world of Film, Politics, Arts and Culture. Potato samosa, crispy vermicelli, yoghurt, chutney, chickpeas. A flavour explosion. Puffed hollow wheat pockets, yoghurt, tangy chutneys. Onions, potato, yoghurt, tamarind sauce, crispy vermicelli, spices. Puffed rice with onions, seasoned potato, corn and chutneys. Spicy and tangy paneer, sweet, sour and chilli. An Indian Chinese dish. Steamed rice & lentil pillow filled with changing ingredients. Fried lentil doughnut. Samar and coconut chutney. Handmade crispy pastry turnover, spicy Indian cheese, chutney. Masala, Mysore, Spinach, Paneer Chettinad, Crispy Paper Masala, Sada. Masala, Paneer Chettinad, Sada Rava, Sada Onion Rava. Masala, Spinach, Paneer Chettinad, Sada. Idli, Mini Masala Dosa, Hyderabadi Aubergine, Coconut & Onion Sambol, Yoghurt, Sambar, Coconut Chutney, Lemon Rice. Onion & Pepper Bhajia, Channa Masala, Dal Makhani, Paneer Tikka Masala, Raita, Pulao Rice, Naan. Most of the wines we offer are either vegetarian, vegan, organic or biodynamic. Our wines are all sourced carefully from small growers from around the world. We buy wherever possible from growers who work using minimum of chemical interference and view themselves as custodians of their land with a responsibility to their community. Freshness and flavours that seduce the palate. Elegant aromas, exotic flowers and tropical fruits. A round and fresh wine, full bodied with a lasting and fruity bouquet on the nose. A sweet but fresh wine that displays strawberries and currants on the nose. Our favourite red wine. Dry, intense, complex yet harmonious wine with notes of wild fruit. Pure, Full-bodied wine with gorgeous aromas of blackberry liqueur and vanilla. Intense, pleasant fragrance, with fruit and brioche notes. A very moreish and refreshing cider made from local Surrey apples with a hint of ginger. Call +44 (0) 20 7839 7258 from 5a – 11p daily, or book online with OpenTable. Paneer Lal mirch, Onion Bhaji, Sabudana Popcorn, Samosa, Tandoori Cauliflower. With special chutneys. Mumbai Pau Bhaji, Masala Utthapam, Dal Tadka, Bhindi Masala, Chole, Bread Basket, Pilao, Rasgulla. Sabu Dana Pakoda, Medu Vada, Aloo Tikki, Spicy Vegetarian Mince, Masala Dosa, Palak Paneer, Bread Basket, Rice and Sheera. For event and party bookings please email on enquiries@woodlandsrestaurant.com. Woodlands named of of the 15 best Indian Restaurants in London by Conde Nast Traveller September 2017. Spoil someone special with a gift for Woodlands Restaurant. Our gift vouchers make an ideal present for birthdays, Christmas, anniversaries or to say thank you. Simply choose your gift, personalise and buy securely online today. Gift vouchers are sent either by Royal Mail first class post in an attractive matching wallet, or instantly by email. Postal vouchers ordered before 2 pm are sent out on the same day of purchase (Monday – Friday). Gift vouchers may be redeemed at any one of our London venues.